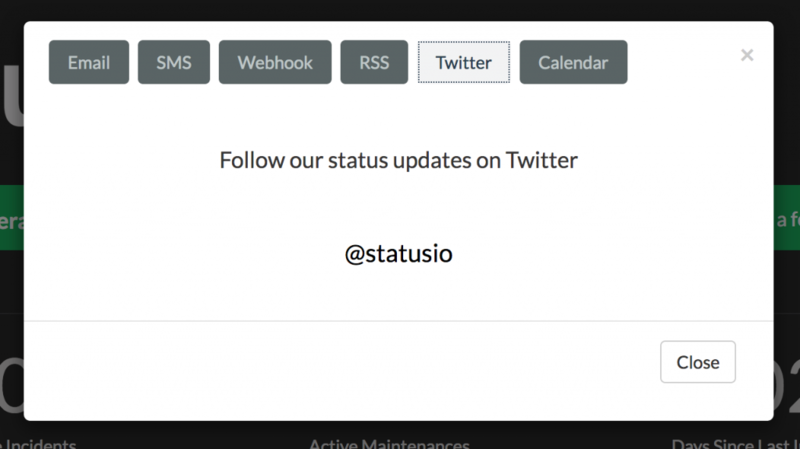 Post status updates to Twitter by connecting your Twitter account to Status.io. Connect your account from the Notifications/Twitter tab in the Dashboard. After authorizing Twitter, you will be redirected back to the Dashboard. Once your Twitter account is connected, viewers of your status page will be able to follow your Twitter account from the Subscribe button. During incidents and maintenances you can choose to broadcast the status update to Twitter.